Moteur Electrique210 - 600 Kgs. Moteur Diesel210 - 600 Kgs. Established in the year 2003, we Thomas International involved in manufacturing and supplying a broad assortment of Agricultural Machineries, Cassava Processing Machineries and Food Processing Machinery. 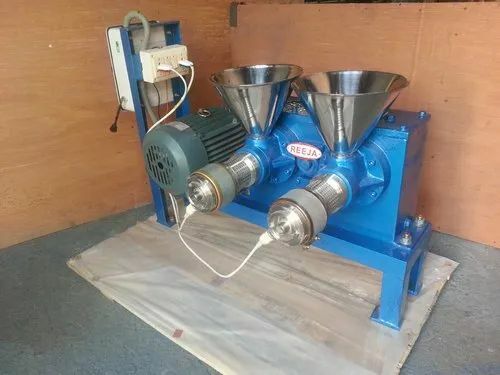 In order to cater to the varied demands of our clients, we offer comprehensive collection of Hammer Mill with Blower, Cassava Grater, Dough Kneading Machine, Oil Expeller (Hand Operated), Sugarcane Crusher Hand Operated, Egg Incubator (Kerosene Operated), Palm Fruit Stripper (From Bunch), etc. Further, the offered range is manufactured using optimum quality raw material, which is procured from certified vendors of the industry. Our organization has strived towards the excellence by offering the entire range of machines in compliance with international quality standards. As a quality centric firm, we ensure that all the finial machines are thoroughly inspected by our quality controllers at our well-developed testing unit.